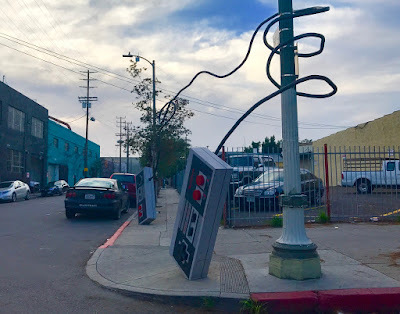 There's a pair of Giant NES Controllers on Broadway and Slauson. If you want an address, plug this in 5800 S Broadway Los Angeles, California. 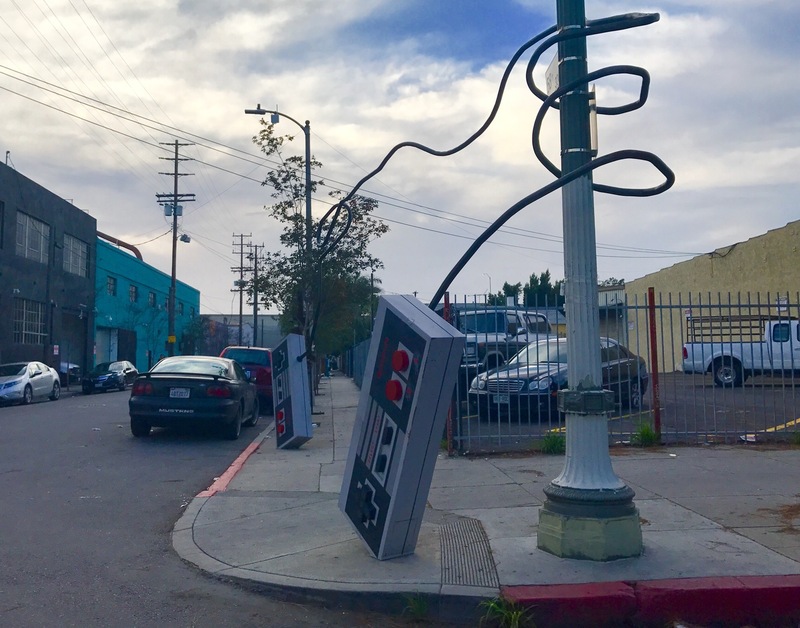 It seems it's just an art piece left out in the open. Also nearby, a big ol' Rubik's Cube. No details as to who or why it's there, but it ain't officially from Nintendo.